While no company should promote commercial crime and bribery, laws and regulations vary by country. Therefore, some of these violations occur purely by accident but can have tremendous consequences. However, as some countries do not operate under the same laws as America is accustomed to, corporations need to determine what is considered good business practices with that nation in order to reduce Commercial Crime Liability. 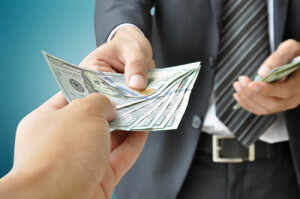 Here are some ways to prevent conflicts of interest when it comes to commercial crime. Policies should be strict on including foreign and domestic anti-bribery guidelines. The more they are reinforced, the more likely employees are to avoid participating in such scandals. This is also a proven defense in the event bribes were to occur, so uphold this law firmly. According to Inside Counsel, one of the biggest compliance challenges a company can face in addressing commercial bribery is trying to implement and socialize a policy that is not in line with the cultural norms of the business environment in which the company is operating in. Therefore, discussing these potential issues and scenarios openly can help to provide real-life training and resolution. Business relationships with vendors can help work for the client’s case. If the vendor does not tolerate commercial bribery and has never participated in bribes, they are a likely candidate to defend your clients’ ethical business. If unlawful behavior is speculated, these vendors should be confronted and governing laws should be abided. Review inside controls and contract information to determine where any bribes might occur or have already occurred. In turn, certain departments and personnel who face the most risk of soliciting or accepting a bribe or kickback payment from a vendor or contractor should be identified, says the article. This system should be put into place permanently to ensure constant compliance and ensure new deals are aligned with the associated foreign laws.